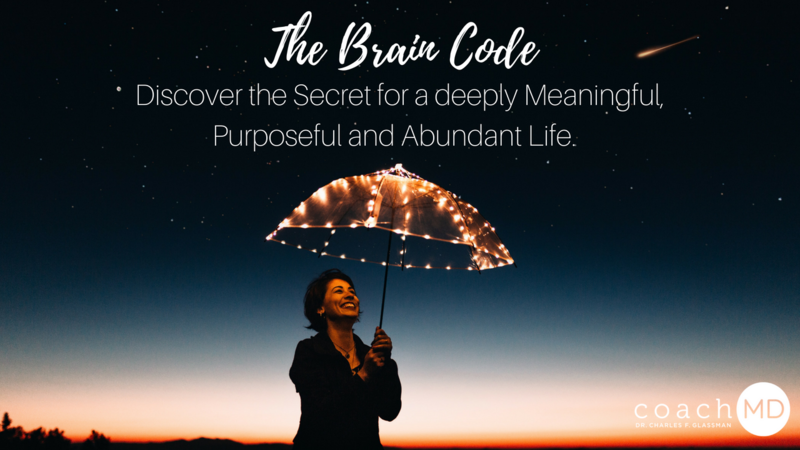 The Brain Code - Discover the Secret for a deeply Meaningful, Purposeful and Abundant Life. damaging your finances, relationships, health, and more. Discover the Secret for a deeply Meaningful, Purposeful and Abundant Life. Sounds too good to be true? Well, if you're anything like me you are sick of the countless self-help sales pitches from people who make grandiose claims. I pledge not to be one of them. And, If you’re like most people, you have big dreams that never quite seem to manifest into reality. Every time you think about taking action, you find many excuses to not do so. This costs you time, money, and more as your life slowly wastes away, second by second. The issue here isn’t that you’re lazy, or that you don’t have the potential for great things. It legitimately isn’t your fault that you’re stuck living a life of mediocrity, it’s your brain’s fault. Your automatic brain (AB) is using 20,000+ years of programming to guide you towards primitive goals and needs, and sabotaging you in the process. This keeps you trapped in a cheap comfortable mediocrity, full of regrets and missed opportunities. The good news is that your automatic brain can be reprogramed to allow you to begin getting more out of life. Instead of pulling you in the direction of complacency, your brain will begin to subconsciously guide you towards your hopes, goals, and dreams. This reprogramming method isn’t hard, but it does take more than just understanding that your brain is working against you. To successfully reprogram your brain, you need very specific special techniques developed by someone who really cares. · Achieve true success, happiness, and contentment. · Gain wealth, financial security, and build a better life for your family. · Meet the love of your life or rekindle the passion of present relationships. · Unlock your true potential and become the person you want to be, the very best version of yourself. 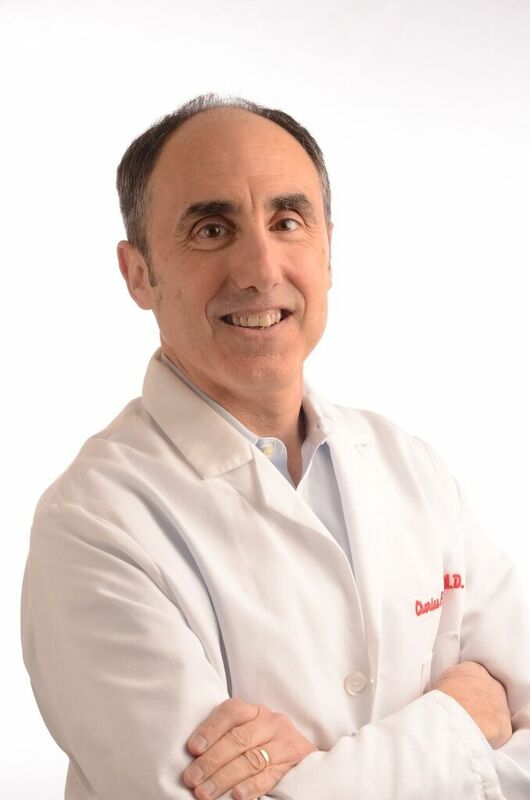 Hi, I’m Dr. Charles F. Glassman, also known as CoachMD. Working as a medical doctor for over 25 years, a specialist in mind-body medicine, and personal guidance coach, I have realized that the source of your inability to achieve your goals and dreams lies within the primitive automatic brain. The AB sabotages you on a daily basis without you even knowing, robbing you of wealth, health, and true happiness. To teach you how to overcome your AB, and begin living a deeply satisfying and purposeful life, I’ve developed a training program. This 10-module training program is not only designed to help you reprogram your automatic brain but also to make sure it doesn’t slip back into “automatic mode” in the future. This will allow you take control of your life, and begin experiencing greater amounts of success, wealth, happiness, and love. Other programs, retreats, etc. don’t address this kind of long-term control, and often times leave you slipping back into your old ways. This can lead to increased frustration, stress, and even depression or addiction in some cases. This can be extremely discouraging. The Brain Code, on the other hand, helps you develop positive habits that build on themselves, allowing you to maintain your focus subconsciously and build a better life for yourself going forward. Life is so much easier when your automatic brain is working for you, not against you. The Brain Code training course consists of 10 in-depth modules. These modules will teach you why your automatic brain is working against you, how you can reprogram it, and how to achieve the life you’ve always dreamed of for you and your family going forward. You will gain access to all the modules with your purchase of this program. This will allow you to access them at whatever interval you choose: One module a week, one a day; whenever, wherever! It's your choice, to maximize your results. I have created the modules to flow from one to the next, but open a module that sounds interesting to you and go with it. Understand WHY your brain is working against you, and WHY it’s not your fault. Get your brain to work for you and not against you. Learn how to know when your brain is trying to sabotage you, or block you from what you truly want. Learn how your automatic brain produces unwanted thoughts and is responsible for everything you may dislike about yourself. Discover how your AB is the same as in your prehistoric ancestors of hunter/gatherer societies, and how it causes you to react by fight-or-flight, sabotaging your path to success. Use workbook exercises to expose the “fears/dangers” forming the basis of all self-sabotage, especially how they relate to money, health, and relationships. See how the binary computer nature of the AB turns on and off from danger and causes the self-sabotaging fight-or-flight response. Learn how to restructure and reprogram the stored data in your brain in a way that supports a successful mindset. Neutralize negative thoughts and keep a clear, positive, mindset focused on success and optimal wellness. Learn how to exploit the plasticity of the AB, allowing you to mold, manipulate, and change it as needed to accomplish your goals. Learn how to break bad habits easily, and form new positive habits that will last a lifetime. Learn how to make the unknown known, the unfamiliar familiar, and the uncomfortable comfortable making it easier to pursue your dreams. REVEALED: The top supplements and one medication that can help interrupt the fight-or-flight response so it doesn’t sabotage your progress. Learn how you already have gifts, talents, skills, and abilities that can help you achieve everything you’ve ever wanted in life. Take the Quiz: Answer 8 simple questions that will expose your greatest gifts and talents. Learn how to embrace and accept your inner gifts and recognize the gifts of others around you. Turn the concept of “Daily Magic” into a tool to elevate faith, secure optimism, and create empowering motivation. Learn to tell the difference between genuine purpose, and false purpose generated by your AB. Learn how to apply your gifts and talents to those around you, and to help yourself. Understand that before all, you must care for yourself: Improving your life is the first step to improving the lives of those around you. Learn how to succeed with collaboration rather than competition and make every situation a win/win for everyone involved. Learn how to wake up each day with passion and purpose that will guide you towards success. Discover ways to apply your gifts with energy and passion that attract love, wealth, and happiness. Learn how to recognize opportunities and avoid letting them slip by. Learn the formula that will change your perspective on wealth forever. Discover how to maintain your wealth after achieving it so that it doesn’t slip through your fingers. Adopt a new mindset when it comes to appreciating what you have, but never settling for complacency. By implementing the Formula of P’s to plan out strategic action steps, you can begin transforming your life. Learn to act assertively, not with aggression, and not passively. Conquer your procrastination once and for all, opening up new worlds of productivity and abundance for you. Target action in alignment with your strengths, gifts, talents, and abilities to deliver the goods or services that will help the most people, and benefit you the most as well. Learn how knowledge of the AB completes any understanding of spirituality, religion, and the Law of Attraction. Discover how to use your mind to grow your finances, improve your health, and strengthen your relationships. Learn practical ways to stop the power of the AB and take back your mind, and your life. Learn how meditation can be a powerful tool for practical results, as well as for prayer, spirituality, and reaffirming faith. Your purchase or The Brain Code allows you to comment and communicate directly with me, CoachMD. I want you to feel 100% comfortable with your decision to become a member of The Brain Code community and take your life to new levels of success and prosperity. 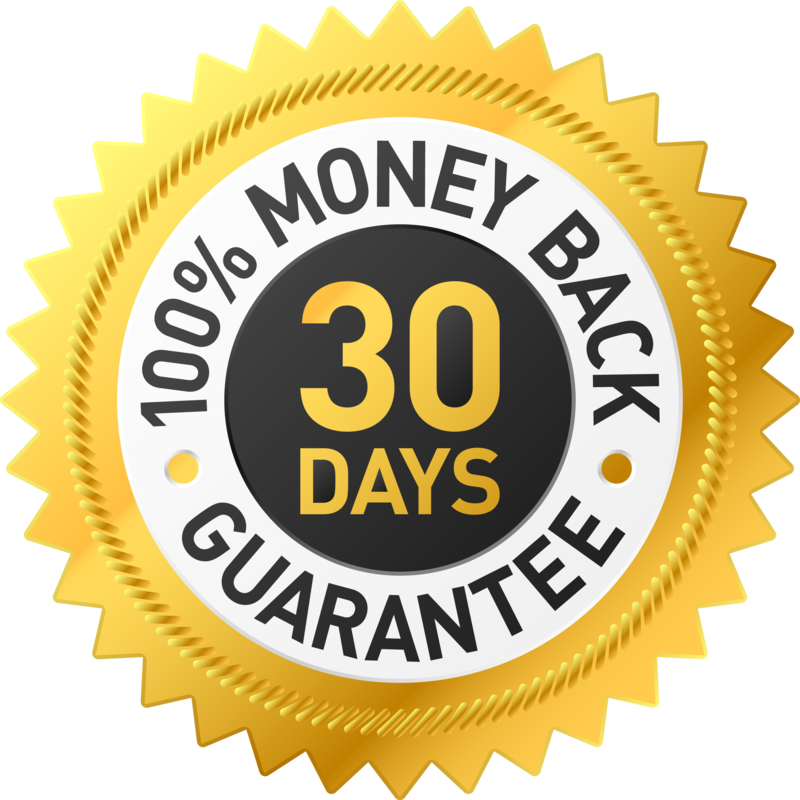 That’s why I’m giving you an unconditional 30-day money back guarantee. A life of comfortable mediocrity is a life of regrets and frustration. These regrets build up and eat at you day after day, leading to psychological instabilities such as depression, addiction, and a variety of health issues. Not only does this comfortable mediocrity hold you back, it keeps you from being the best husband, wife, brother, sister, son, daughter, or friend that you could be. This can lead to broken families, relationships, and friendships. Commit to The Brain Code program and become the best person you can be. Find that you can actually achieve the life that you deserve and were destined to live. There is no reason you can’t begin working toward, and accomplishing, all your hopes, goals, and dreams, starting right now. Now is the time to put a stop to your automatic brain’s schemes, and turn your life in a positive direction. All you have to do is overcome your automatic brain one more time, and take that first step by clicking the button below. If you can do that, you can do anything.